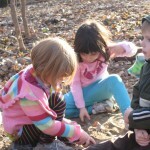 With the delightful weather we’ve experienced this Fall, has come more opportunities?for outdoor exploration. 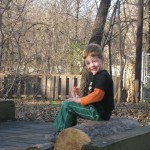 ?We recently took advantage of an unseasonably warm afternoon to visit the Wood Lake Nature Center in Richfield. ? ?The children thoroughly enjoyed the trip on the city bus-entertaining all the other riders on the way there. ? 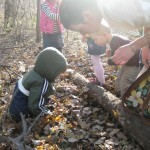 At the nature center, we rolled a few logs in search of miniature wildlife, uncovering a really huge spider as well as some ‘roly-poly’s’ (wood lice), worms, insect larvae and other mystery insects. ?The children had been reading lots of books about spiders and discussing animal life-cycles, so they were very excited to see so many actual examples in real life -and doubly excited to see the adults scurry away from the giant spider! We ended the afternoon at the newly installed exploration and play area. 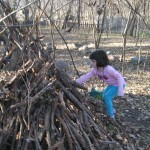 ?The staff at Wood Lake have done a beautiful job of incorporating all kinds of gross motor activity while maintaining the natural feel of the area. 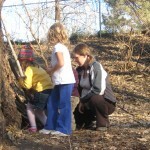 ?There are opportunities to climb, build, balance, swing, jump, hide and imagine. 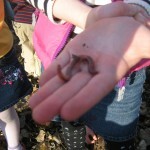 ?We look forward to exploring it in other seasons -we’ll keep you posted on our findings!